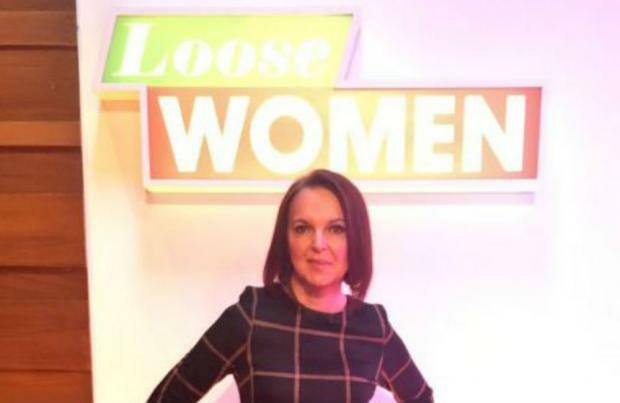 India Willoughby made TV history on 'Loose Women' today (16.11.16) by becoming the first transgender presenter to host an all-female UK talk show. The 50-year-old journalist - who was previously known as Jonathan Willoughby before she transitioned into a female - feels like the "luckiest girl" in the world to be able to grace the panel alongside Ruth Langsford, Martine McCutcheon and Janet Street Porter on the popular lunchtime programme during transgender awareness week. Host Ruth told India in her opening speech: "As far as we know, we are the first all-female talk show to have a transgender presenter and we're very proud of that and we thank you very much for coming on and doing that for us." However, the brunette beauty wasn't prepared to accept the title because she's convinced there must have been another transgender person to appear on the programme in the past, but they just didn't feel ready to disclose it to the world. India explained: "I'm a very modest individual and who knows there may have been a transgender reader on the show before but they just didn't disclose it." And the newsreader is adamant that she's no different from her fellow female co-stars as they all have their own "interesting" stories and experiences to tell. She added: "We're all women here, we all have our own baggage, our own scars and that's what makes us interesting people."